Sarson ke Khet! 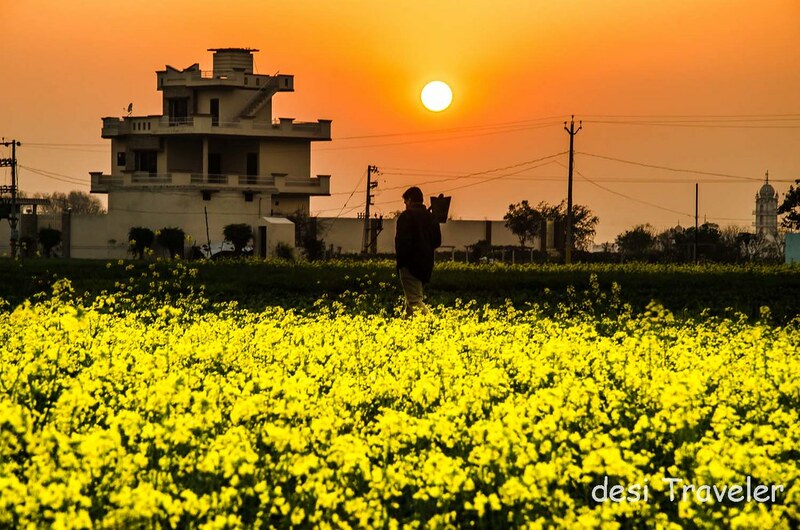 Mustard fields! Ah, those golden blooms spread over acres and acres bringing a smile on the wrinkled face of the old farmer. I was as his callused hands tenderly touch the delicate blooms more delicately than Shahrukh Khan caressed the tresses of Kajol in that eternal love song- “Tujhe Dekha to yeh Jana Sanam— तुझे देखा तो ये जाना सनम, प्यार होता है दीवाना सनम “ that made the “Sarson Ke Khet the ultimate romantic destination in India”. 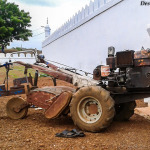 But dear reader long before Shahrukh Khan belled the divine bovine – Gau mata (गौ माता) to get the attention of dove-eyed Kajol, Sarson Ke Khet have been popular in Bollywood for ages. When Manoj Kumar lip synced to “ Mere Desh Kee Dhartee, Sona Ugle, Ugle Heere Moti”, in Upkar he was talking about Sarson Ke Khet or mustard field. The sona or gold, in this case, was the golden blooms of mustard plants and not something that Ajeet wanted to know from Mona – “Mona Sona Kahan hai “ Off course Mona had her own interpretation of Sona, and not finding Gold, just the thoughts during office hours made her blush like evening Sun. But dear reader what happens in Ajit’s office is not our topic of our blog ppost.We are talking about Sarson Ke Khet (सरसों के खेत) or the golden fields of rural India. 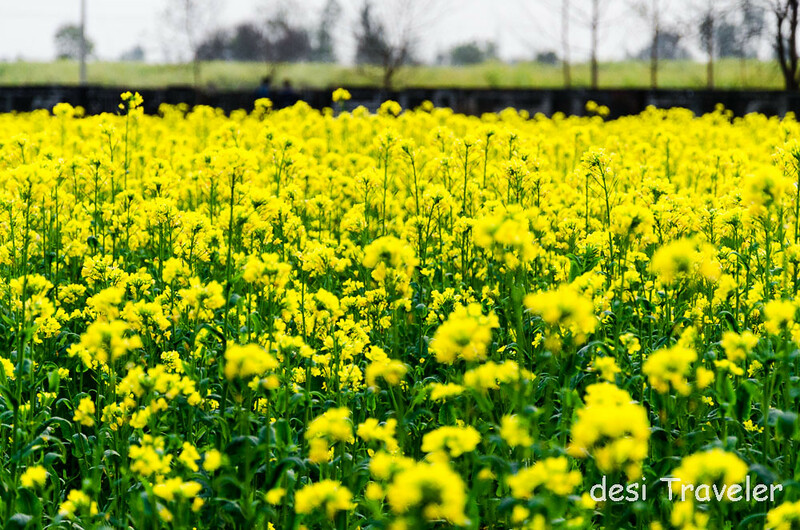 In this post let me give you mustard fields clicked in the granary of India the Rural Punjab. 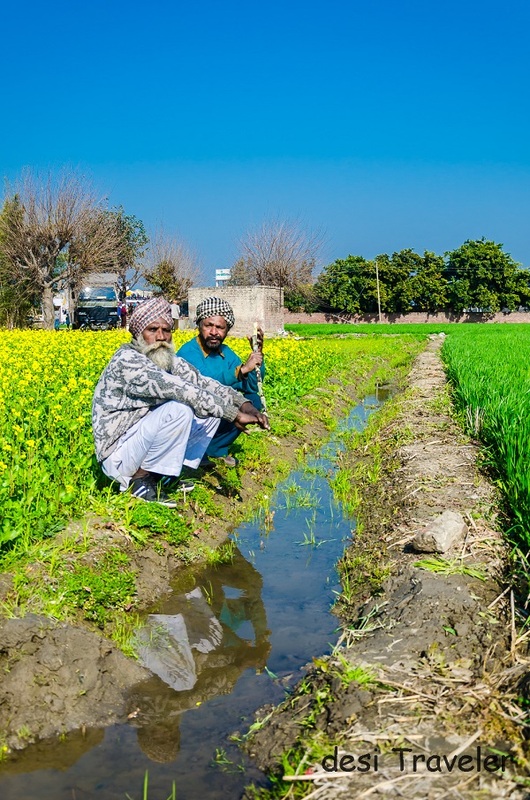 If you have followed #RahiOnRoad hashtag on twitter we were on a road trip to Punjab, and our visit coincided with the blooming of mustards in the fields. 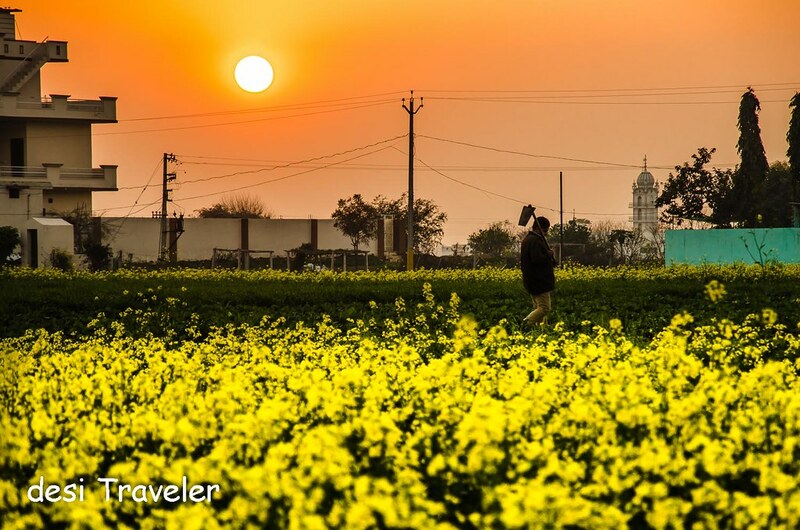 We were in Punjab outside of Ludhiana for Rural Olympics in Kila Raipur, but before I post about the games do check these pictures of the mustard fields of Punjab. 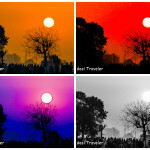 But before we go further please do check the sunset picture from the fields of Punjab and chosen your favorite one as the same picture is processed 4 different ways. These fields were right next to the sports stadium in Kila Raipur and we would daily take a stroll in the fields chatting with the farmers about their life, hard work, family. Most of the farmers we found working in the fields were older men as the youngsters were busy with games. As we chatted with the farmers over cup of tea listening to the chirping of bulbuls, parakeets and the sounds of gurgling water from the tube-well, I could not help but thank the almighty one for such a wonderful view in front of me. I told myself this is true Incredible India right here in the Sarson Ke Khet of Punjab as I watch the Sun slowly vanish behind the golden fields and slowly the mist rises as the heat escapes from the bountiful land. 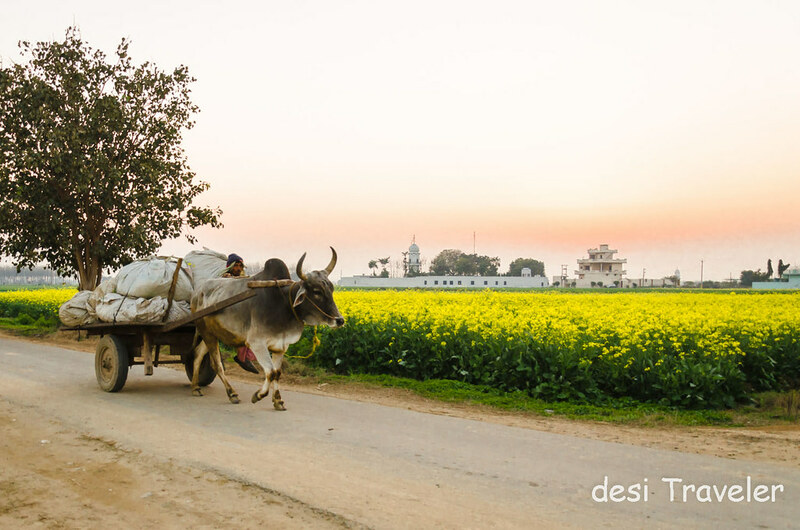 The first pictures were clicked on the rural road as we left the Grand Trunk Road or National Highway number 1 ( NH1 ), that is the lifeline of North India and connects Amritsar to Kolkata. It is believed that this road was first built during reign of Emperor Ashoka, and was India’s connection to the Old Silk Route. Later Sher Shah Suri, the guy who kicked out the fledgling Mughal dynasty from India, revived it and finally British modernized it for troop movement. Our government for the sake of its historic and heritage character has maintained it mostly like those days only. Today the GT road ends in India at Wagah border in Punjab from where you can see Pakistan, and Howrah in West Bengal though technically it continues on each side of international borders. Now GT road may be ruled by Trucks the moment you enter the rustic Punjab you are greeted by tractor trolleys, bullock carts, horses and cycles. 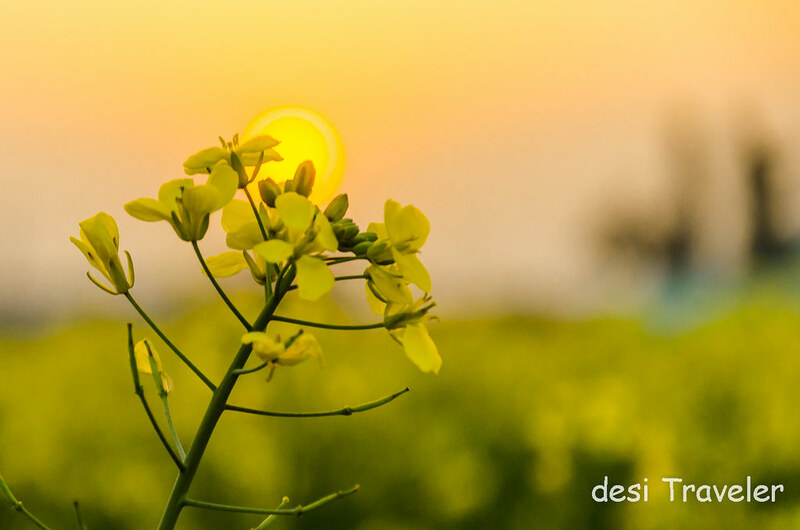 A Sarson Ka phool – So what is more Golden the Sun or the flower ? 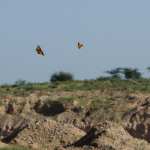 “ Oh jee ah khet twadey he nay “ ( Dear Sir these fields are yours only” )…. I told you na Sardarjees are like that only, that is the true Punjabi Nature. The old farmer wanted to pack me some Sarson ka Saag to take home, and was disappointed to know that we are continuing the road trip to other cities and will not reach home for many days. So he immediately offered us some Sugarcane as they don’t go bad for days and are good to chew on long drives. Politely I had to say no to him and the kind farmer still agreed for posing for pictures. Like big fields bigger hearts that is Punjab, and the land sure gives you gold for your hard work. Beautiful ambiance! Great environment. Love each and every photo you posted here. Thses flowers are most beautiful thats why this destinations seems to be romantic. I visited so many times and found peace and I think it is a ultimate place for meditation. 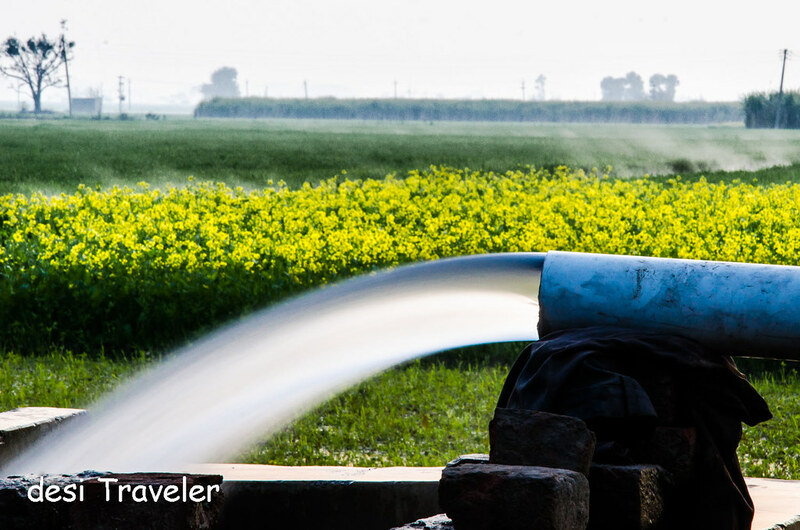 OMG you remember that… yes I love the Sarson ke khet and they first appeared on desi Traveler on a post on Chitrahar.. ( it has the video of SRK and Kajol from the movie DDLJ) and recently on the Drive With Soul post. Your pictures and adventures are always fascinating. I love those Mustard fields. What a delight for the eyes. The golden field looks really scenic. The photos here are great especially the sunset view along the field. Don’t really understand those words thats’ not in english, but I love the photos! the scenery is nice! They are just lyrics of a love song from a Bollywood movie – Dil Wale Dulhania Le Jayenge better known as DDLJ.. but good feedback, will write translation in future.. thanks. 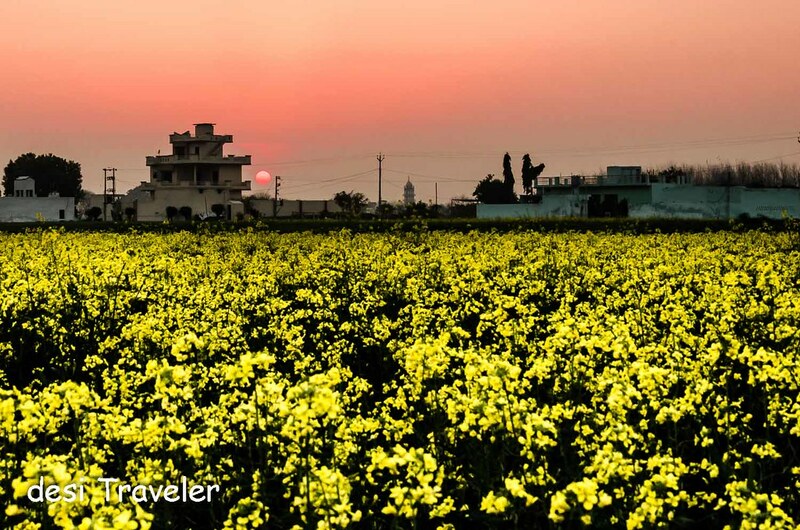 The Golden Fields of Mustard look amazingly beautiful, wish I could see the Sarson Ke Khet with my own eyes. The photos are just l lovely. Flowers really add beauty to any given place whether its on gardens or sports field. So true, flowers make all the difference…. oh, mustard fields? i’ve never seen one before, but they definitely look pretty! i really love those 2 shots you took with the sun setting in the background. Beautiful flowers! I love the sight of the farm, hope I’d be able to visit that place too. Awesome post…. Amazing photographs….. I like desi travelling. The images are really pretty. I never knew mustard look like this before they become the sauces… thanks for sharing! interesting post about india. 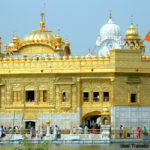 I will follow your blog so that i can have a deep knowledge about this country and i might visit it soon. Oh my..this is in India? The images you have taken are breathtakingly beautiful. Where are the trucks and trolleys that rule the road? Love the colors and the backdrop of the son in the orange sky flung above the mustard fields. Hi May: Thanks for appreciating the pictures and post. We do have a lots of trucks and trolleys, fortunately the village roads we visited were not full of them. This place is so dreamy! I would want to travel to India one day. Those field of flowers looks beautiful! When I first started reading this article I genuinely almost stopped coz I didn’t understand some of the words written in a different language! Glad I did read it though. nice one! Ahaa!!!!! Your post reminded me of my sasural. Had my post marriage pics in background of Sarson ke khet. Amazing pictures, so loved the last one. Nothing like sarson ke khet to brighten up long (and bumpy!) 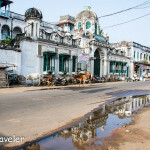 road journeys through North India! 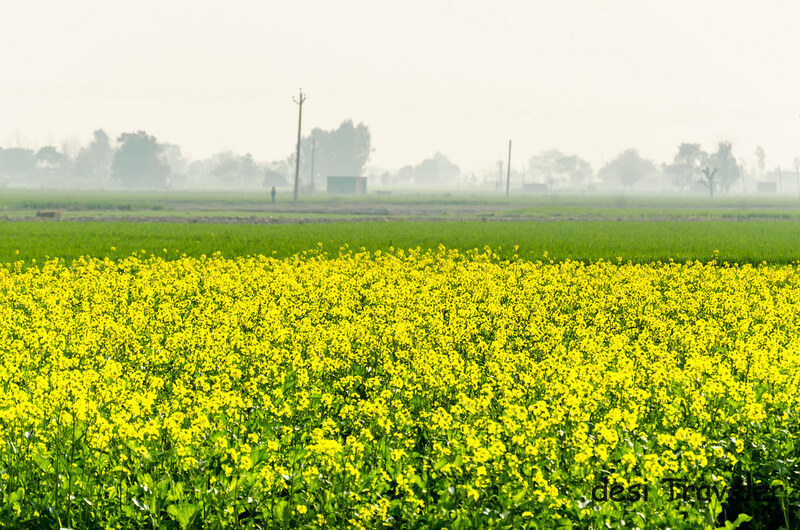 I love catching a glimpse of these yellow fields whenever I’m travelling around Punjab. And “Oh jee ah khet twadey he nay” is exactly what I’d expect a hearty, jovial Punjabi farmer to say 🙂 Changey dil! beautiful! these are such a symbol of Punjab, I love the way sarson ke khet truly shine like gold. Gorgeous captures. Would love to travel across the whole GT Road. Those are stunning captures. Seriously, I was mesmerized. I did see sarson ke khet on my trip to Punjab. They are gorgeous.